Q: Let’s begin by telling the audience how you got into the mortgage industry. A: It all started when I used a mortgage broker to buy my first house and thought it was a great experience. Thanks to the mortgage broker, I ended up with a better mortgage rate and better overall product than what was offered to me by my personal bank of 15+ years. A year or two later, the company I was working for at the time—in a different industry—went through some major restructures and I was offered a buyout. Because of that experience and my entrepreneurial drive, I immediately signed up for broker course work and licensing. That was over five years ago. 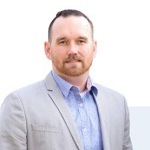 My passion for real estate, numbers, “a good deal,” and a desire to help people have all made it a rather easy transition. Q: How did your background as a mortgage broker lead to the development of Block66? A: As a broker, I manage multiple clients at the same time. I work with various lenders, including big banks, mortgage-specific lenders, and private lenders. Each has their own unique product and criteria, so I understand how difficult it is to balance the demands of clients with that of borrowers. And the situation becomes even harder when you have to work through the tedious, paper-driven, time-consuming mortgage process that constantly includes new rates, rules, and regulations to follow. Based on these challenges, I decided to create a solution that would not only innovate the mortgage industry but also reduce its major issues. 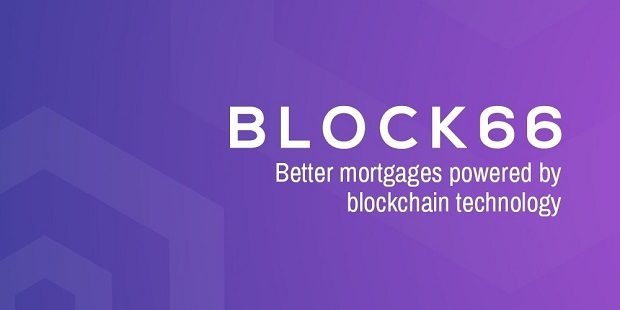 Block66 is a blockchain-fueled platform that will bring a sense of ease to brokers, borrowers, and lenders who are all participating in the mortgage process. Q: For new mortgage brokers, what is the most important thing to keep in mind when working with borrowers today? A: I would have to say that it’s most important to have constant communication. You have to educate your client in a way they understand while also having full transparency…which is one thing that blockchain can help with. We have to remember that this is arguably the biggest decision and debt they will be taking on over the course of their life. They are signing a piece of paper making them responsible for hundreds of thousands of dollars. And that’s in addition to the stresses of everything else that comes with the home buying process. I think the ability to bring a sense of calm to the entire process and being there for your client goes a long way. It’s okay to say you don’t know or don’t have an answer, but giving false information—or worse, flat out lying about where someone is in the process—is setting yourself up for failure. In this digital age, word travels fast! Q: What is the benefit of blockchain for both mortgage brokers and borrowers? •	An increase in transparency: With blockchain, it’ll be possible for everyone in the mortgage process to check the progress of an application, see all available products, and review the criteria that must be met. This visibility all happens without anyone meeting face-to-face or faxing over information, which frees up the broker and borrower and speeds up the whole process. •	A viable audit trail: Instead of brokers sifting through a borrower’s bank information, pay stubs, and tax documents, blockchain can offer a simple, immutable audit trail for them to follow. Block66 will pull borrowers’ information directly from the source, so brokers can avoid high underwriting costs and the constant back-and-forth it takes to verify an applicant’s information. An audit trail is not only beneficial for brokers—it’s also good for borrowers because they won’t have to spend months waiting to find out if their mortgage will be funded. •	A decrease in mortgage fraud: This benefit is specifically for mortgage brokers, but it’s still worth mentioning because fraud is a major issue blockchain will solve. It’s not hard to write and submit fraudulent information in support of your mortgage application—a new story about this pops up everyday. But blockchain can begin to mitigate mortgage fraud by providing a history of each transaction and pulling borrowers’ information directly from the source, making those documents immutable, safe, and secure. Q: For mortgage brokers who may be hesitant to use blockchain, what would you say to them? A: It’s still early days, but blockchain is seen as the future of the mortgage industry and real estate in general—it’s going to innovate the way brokers, borrowers, lenders and all involved parties interact. If mortgage brokers are hesitant to utilize blockchain, that’s understandable, but when mass adoption takes place they will lose their competitive advantage as their clients and borrowers seek out competitors who are offering a quick, easy, and user-friendly mortgage process that’s powered by blockchain. At the very least, I would recommend keeping tabs on where this space is going and the technology that is coming into the mortgage industry.